Call of Duty: WWII The Resistance Pack Gets Detailed | Nerd Much? Three new maps and couple new modes coming in January. 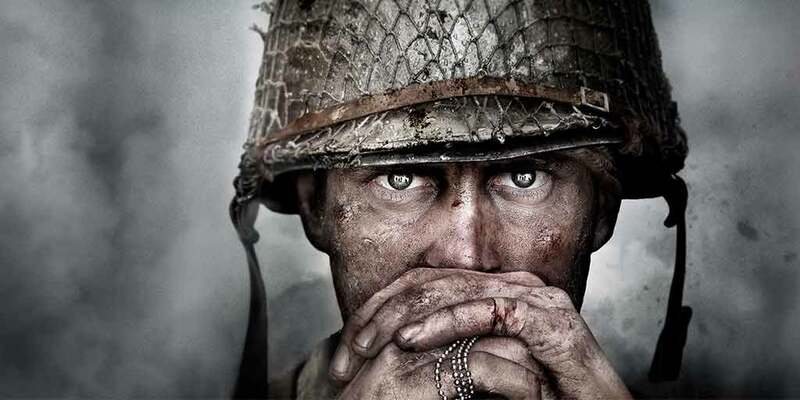 Sledgehammer Games has pulled the curtain back on what’s next for Call of Duty: WWII. The first DLC pack is known as The Resistance Pack, and will head our way in January. The Resistance pack brings with it three new maps. The first is dubbed Valkyrie. It’s a recreation of The Wolf’s Lair, Adolf Hitler’s top-secret hideout during World War II. It features the same site in which Tom Cruise’s Colonel Claus von Stauffenberg tried to assassinate Hitler in the film of the same name, Valkyrie. The map is based within Poland and is said to host numerous sniping opportunities. And if sniping isn’t your jam, it also sports plenty of bunkers that you can choose to use to rush the opposition instead. The second map is entitled Anthropoid. Set in the urban city of Prague, this map features much more verticality. However, due to the heavy density of buildings, it also forces players into plenty of tight quartered shoot-outs. Occupation is the third map of the set based within Paris. With the Eiffel Tower looming in the background, this area is a much more open environment compared to Anthropoid. Here, snipers will have plenty of opportunities. While combat as a whole can take place both indoors and out here. A new War Mode is also being instilled with The Resistance Pack. Entitled Operation Intercept, you’re tasked with rescuing French Resistance Fighters who have become POWs. Once rescued, you’ll move on to capture crucial radio equipment before finally taking the fight to the Nazi’s head on. Finally, we have a new chapter for Call of Duty: WWII Nazi Zombies within The Resistance Pack as well. It’s called The Darkest Shore. Your goal is to track down a German scientists who is actively seeking to revive Nazi soldiers as a last ditch effort to restore the Third Reich to its previous glory. However, with the new buzzsaw gun you shouldn’t have much trouble dispatching his undead creations. The Resistance Pack is live as of January 30th on PlayStation 4. It will then head to Xbox One and PC shortly thereafter. Take a look at Sledgehammer Games’ official preview of the new content in the video above.